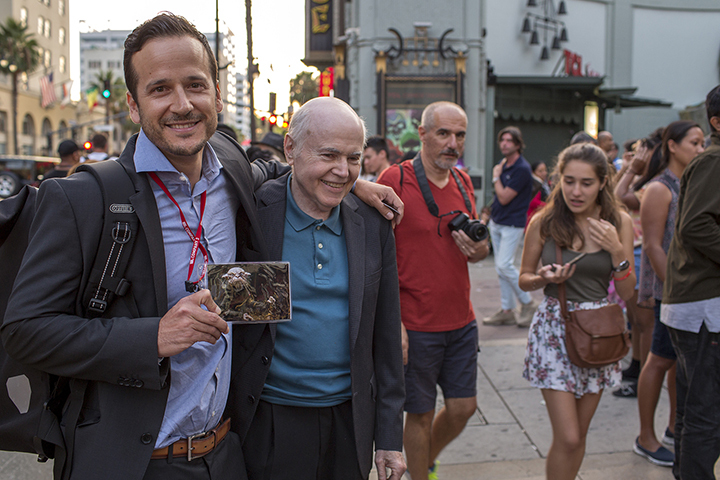 Walter Koenig and Stephen Glickman deliver a live performance of the Neil Stryker TRAILER! 90K+ views and counting of the TRAILER! NSTOT heading to Wisconsin and Iowa! 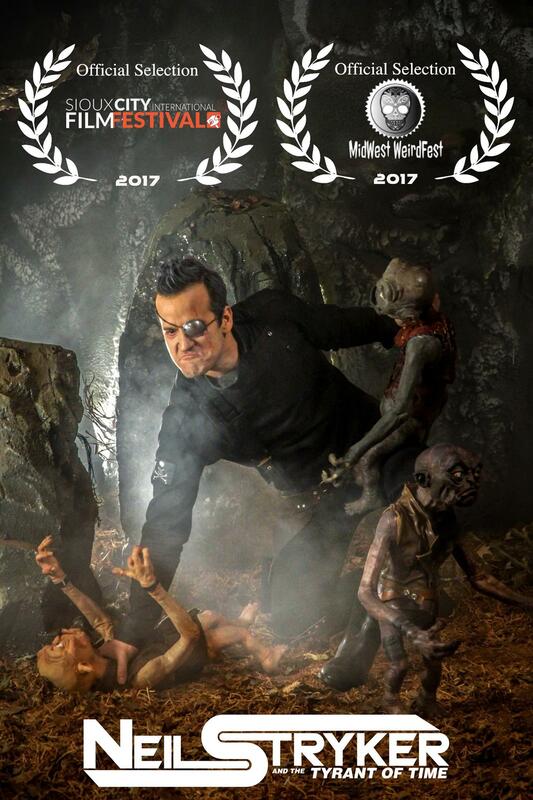 There's probably no better way to give our audience a "taste" of Neil Stryker than by touring the 15-minute "goblin scene" on the comic con circuit throughout the U.S.A. in 2017. Geek Film Fest does exactly that by showcasing a curated set of films from coast to coast throughout the year and we're excited to be a part of their first stop: Long Beach Comic Con next month February 18-19th. 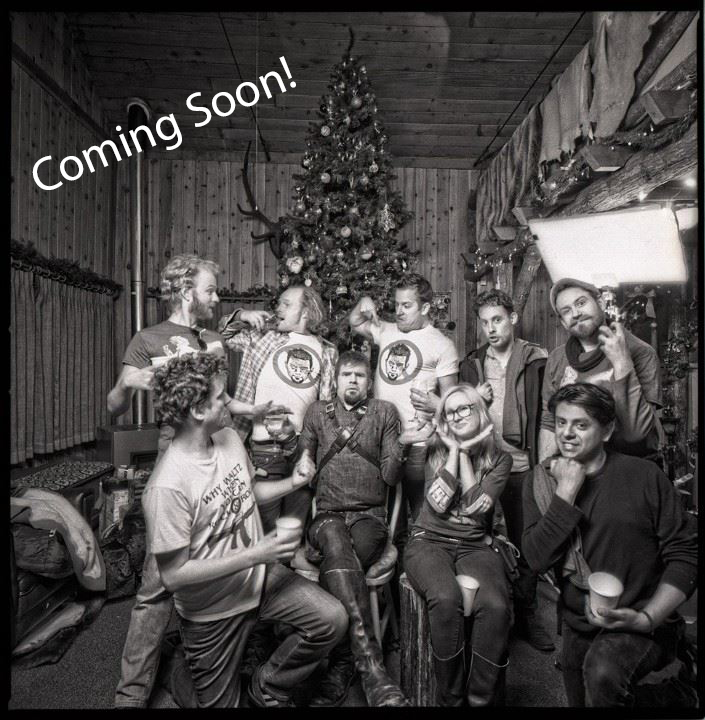 Looking forward to blowing minds, busting guts, and getting our guys hot and bothered and ready for the FEATURE -- "Wait what? there's 82 more minutes of this weirdness coming in April?!?!" After all, we're just another geek in the geek kingdom. Tickets and more information about Longbeach Comic Con can be found HERE! NEIL STRYKER AND THE TYRANT OF TIME WINS IN SYDNEY! 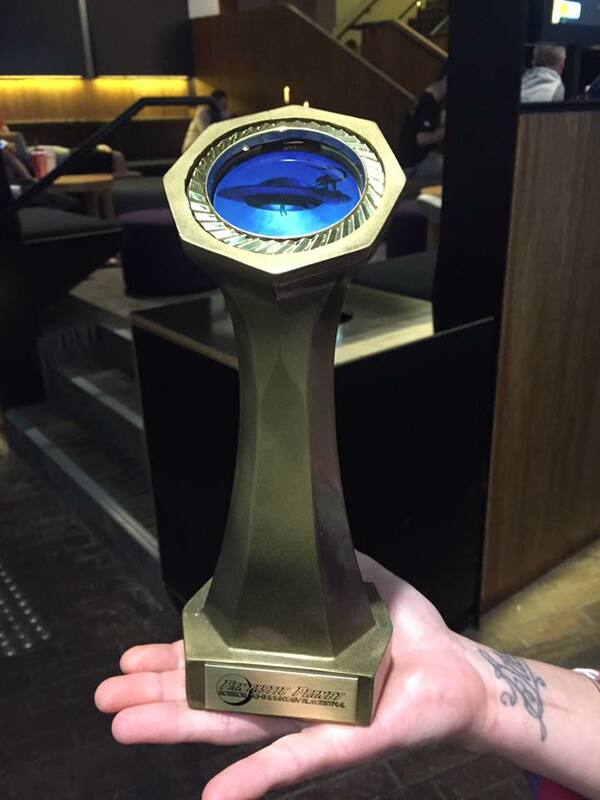 Neil Stryker and the Tyrant of Time win the Independent Spirit Award at Fantastic Planet Film Festival in Sydney, Australia! The crowd down-under had a blast and we were so Director Rob Taylor and Bryna Smith were fortunate to make it there in person. Big thank you to Festival Director Dean Bertram for being such a wonderful host and making these international guests feel right at home in the merry ol' land of Oz! And, ah geez, Dean, you make even Neil Stryker blush with your Facebook posts: "Ok, sure, I'm the director of Fantastic Planet Film Festival and I'm really not meant to have a favourite at the fest... but I will say this: tonight's off-beat, riotous, sci-fi adventure and soon to be cult classic Neil Stryker and the Tyrant of Time had me in hysterics the first time i watched it, and I can't remember taking so much unexpected joy from a film submitted to the fest in years." 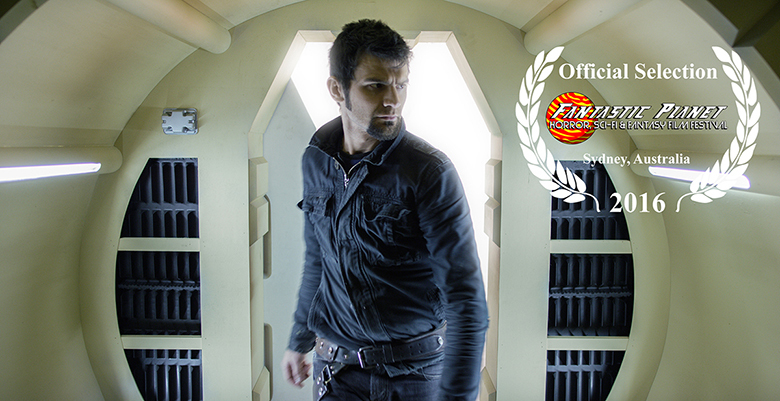 BELGIAN PREMIERE: Neil Stryker is headed to BIFFF! Considered one of the world’s most important horror and fantasy festivals, Brussels International Fantastic Film Festival (BIFFF) is easily in the top 5 genre fests in the world. 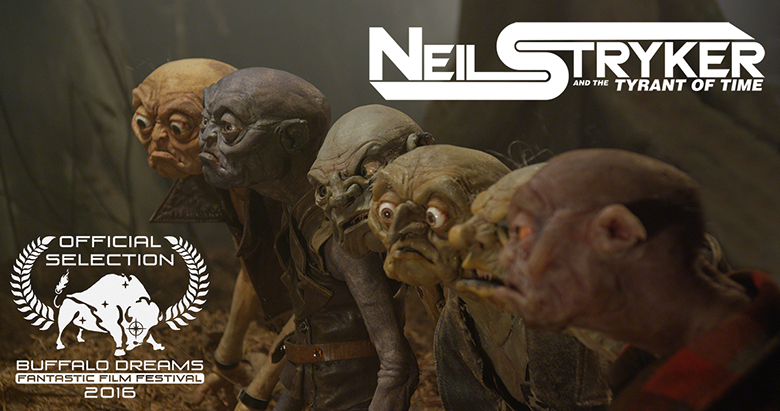 2017 marks the 35th anniversary of BIFFF and we are beside ourselves with glee that Neil Stryker and the Tyrant of Time is an Official Selection! BIFFF is a founding member of the European Fantastic Film Festivals Federation (EFFFF), the group responsible for awarding the Méliès, which is essentially the Oscars for the best in European Genre Film. Seriously, no delusions of grandeur here, we're just happy to be in the same room with these guys. Fun fact, In 1993, Sam Raimi won for best feature (aka the Golden Raven award) at BIFFF for Army of Darkness. Congratulations team! EUROPEAN PREMIERE: Neil Stryker is headed to Fantasporto! Every once in awhile something really big happens... the 37th annual Fantasporto, Oporto International Film Festival is rated in Variety as one of the 25 leading festivals on the planet and easily one of the top ten genre festivals in the world. The festival has run since 1981 in Porto, Portugal, with an average of 110,000 attendees annually. Many of the great directors have won big here: Peter Jackson (Brain-dead), Danny Boyle (Shallow Grave), David Fincher (Seven), Alejandro Iñárritu (Amores Perros), the Wachoski Brothers (Bound). Some of our favorite actors have taken the gold here: Bruce Campbell (Bubba Ho Tep), Wilem Dafoe (Shadow of the Vampire), Christopher Lee, Vincent Price, to name a few. 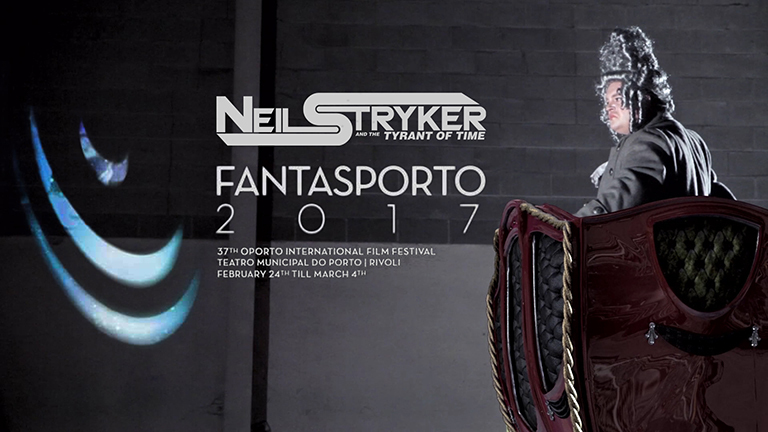 This is the part where we tell you that the 37th annual Fantasporto - Oporto International Film Festival has selected Neil Stryker and the Tyrant of Time to be included in this year's festival which runs February 24th - March 4th, 2017. To say this is a bit of a game changer for the film would be putting it lightly. It's humbling and overwhelming all at the same time. We are thrilled, ecstatic, and overjoyed to be selected. NEIL STRYKER AND THE TYRANT OF TIME WINS IN NEW YORK! 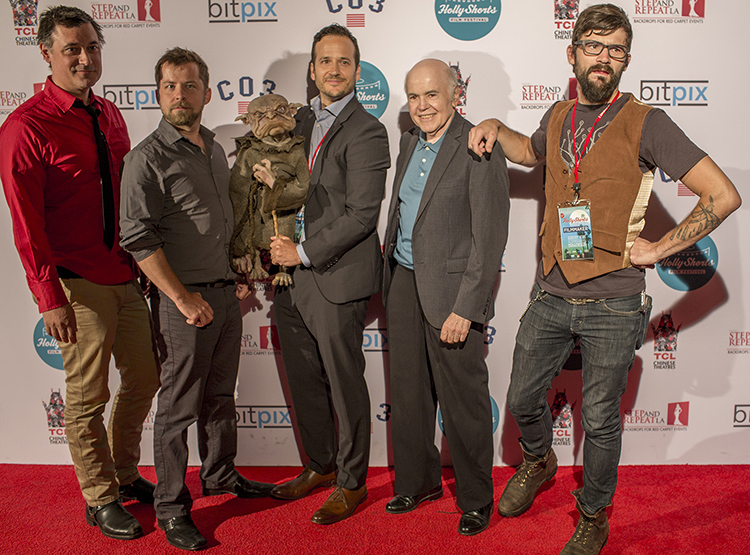 Neil Stryker and the Tyrant of Time for the win at Buffalo Dreams Fantastic Film Festival here in West New York -- our Visual FX crew cleaned up! Additionally, Best Screenwriter went to Nic Costa and Rob Taylor as well! 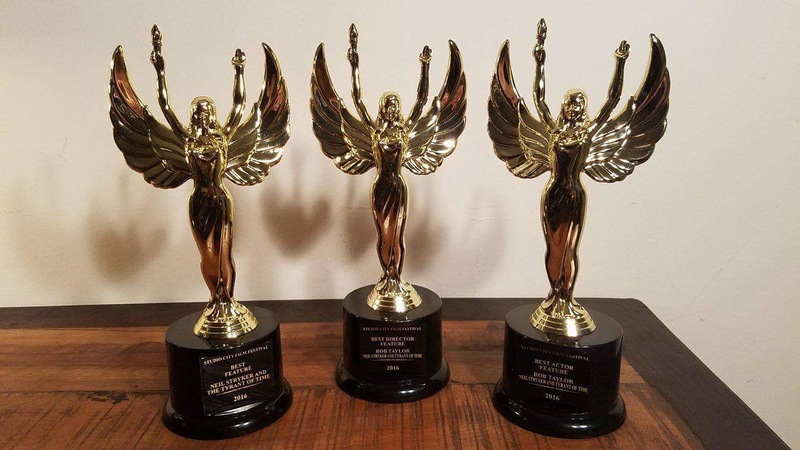 NEIL STRYKER AND THE TYRANT OF TIME WINS BIG IN L.A.! We won a trophy! No... we won three! Best Feature Film, Best Director: Rob Taylor, Best Actor: Rob Taylor. And they say comedies never win Best Picture -- Harrumph! Huge thanks to the people of L.A. who came out to the screening and Studio City International Film Festival for the amazing hardware! Congratulations, NSTOT team! You did it! 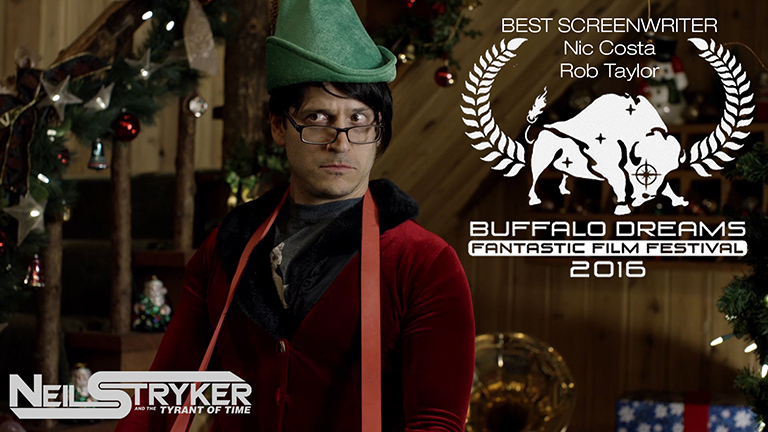 NEW YORK PREMIERE in Buffalo, New York at "Buffalo Dreams Fantastic Film Festival"
We'll let the festival speak for itself: "Buffalo Dreams Fantastic Film Festival's Official Selection Neil Stryker and the Tyrant of Time is a hilarious sci-fi romp that will delight fans of the genre! It is so damn funny, and features Walter Koenig (STAR TREK and BABYLON 5) and David Ogden Stiers (M*A*S*H and THE DEAD ZONE), with sight gags and special effects galore. These guys really managed to pull off a GALAXY QUEST on a micro-budget. Cannot wait to see it on a big screen!" LA PREMIERE at "Studio City International Film Festival"
We return to the "City of the Stars" to showcase the FULL feature at the CAP Theater this November! Sherman Oaks is where it all began for our producer Nic Costa and he is looking forward to sharing the laughter in Tinseltown next month. We are thrilled to be a part of this festival where NSTOT is 1 of 9 feature films selected for 2016! INTERNATIONAL PREMIERE in Sydney, Australia at "A Night of Horror and Fantastic Planet Film Festival"
One thing is not in "debate" -- Neil Stryker and the Tyrant of Time will have its INTERNATIONAL PREMIERE in Sydney, Australia, at "A Night of Horror and Fantastic Planet Film Festival" -- one of the biggest genre festivals in the world which runs November 24th through December 4th. NSTOT was one of ten films handpicked for the festival's first wave of programming. Humbled. Overjoyed. Thrilled. Last Chance Summer Dance with Stryker and the Boys: LAST SHOWING in Portland, OR of Neil Stryker and the Tyrant of Time as part of the Oregon Independent Film Festival. Find a babysitter, leave your mother at home. Nevermind, bring your mother. Bring mine. Friday, September 23, @ 8:00pm at the Clinton Street Theater, 2522 SE Clinton St. Portland, OR 97202 ! We won Best Comedy and are nominated for Best Picture at OIFF! Tickets and more information can be found HERE! SOLD OUT!!! WORLD PREMIERE of full Feature on 9/1 at Portland Film Festival -- Encore screening also at Laurelhurst Theater 9/4 @ 7:30pm also SOLD OUT!!! Tickets are SOLD OUT For the 9/1 @ 9:45pm premiere of Neil Stryker and the Tyrant of Time and the encore screening 9/4 @ 7:30pm is also SOLD OUT!!! Stay tuned for additional showings around the globe! 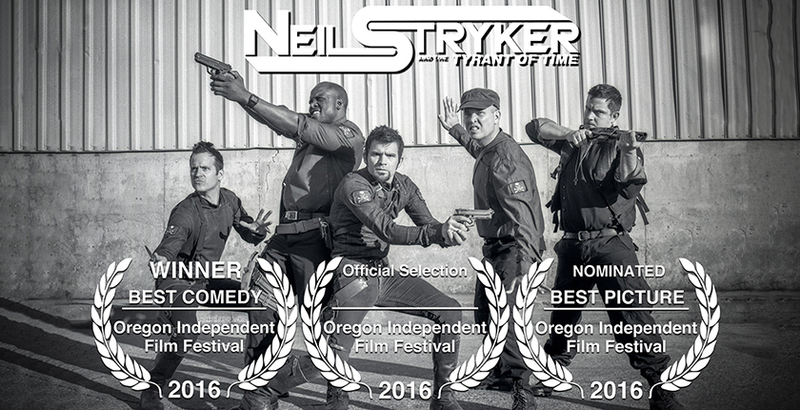 We are excited to announce that Oregon Independent Film Festival has awarded Best Comedy Film to Neil Stryker and the Tyrant of Time! NSTOT is also up for Best Picture which will be announced at the awards ceremony in Portland, Oregon, on August 31, 2016. There were 60 selected films in the running and we are excited to make it into the final five nominees! Here's hoping to lift that trophy! PORTLAND WORLD PREMIERE! 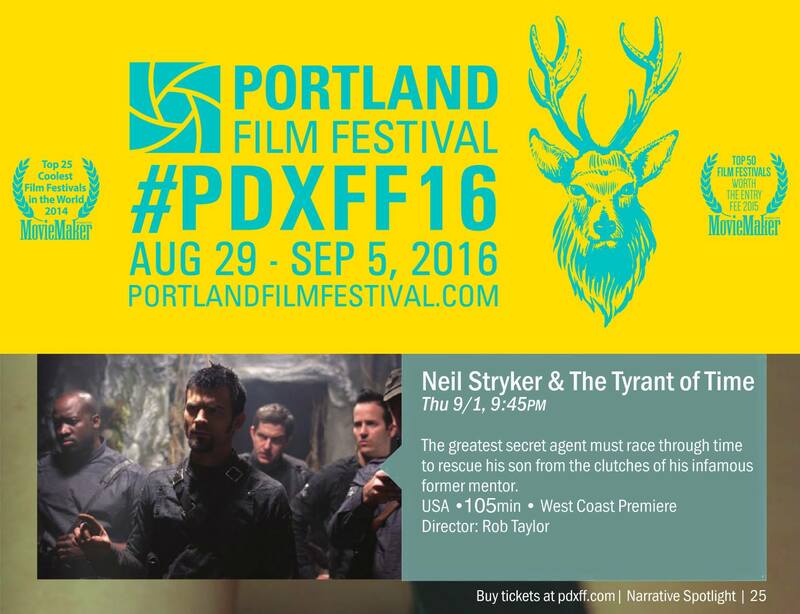 We didn't want you Portland people to have to travel very far, so, Neil Stryker and the Tyrant of Time is set to have its official West Coast Premiere at the Portland Film Festival on Thursday, September 1st @ 9:45pm at the Laurelhurst Theater! We are very excited/delighted to be an official selection at our hometown fest -- Rock and roll! Let's pack this house! Tickets and more information can be found HERE! ATLANTA PREMIERE! 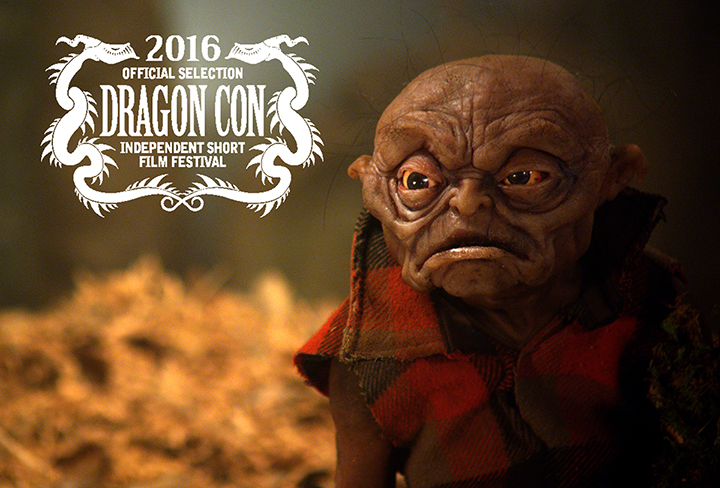 Dragon Con Indie Film Festival selects the NSTOT 16 minute TV pilot for its comedy block on: Saturday, September 3rd, 2016 time TBA! Dragon Con Indie Film Festival is a combination of short and feature independent film screenings, panels, celebrity guests, discussions, concerts, contests, and seminars. All that combined with the 65,000+ Dragon Con attendees creates an extraordinary film event. We will be in attendance so stop on by and say hello! Tickets and more information about Dragon Con can be found HERE! 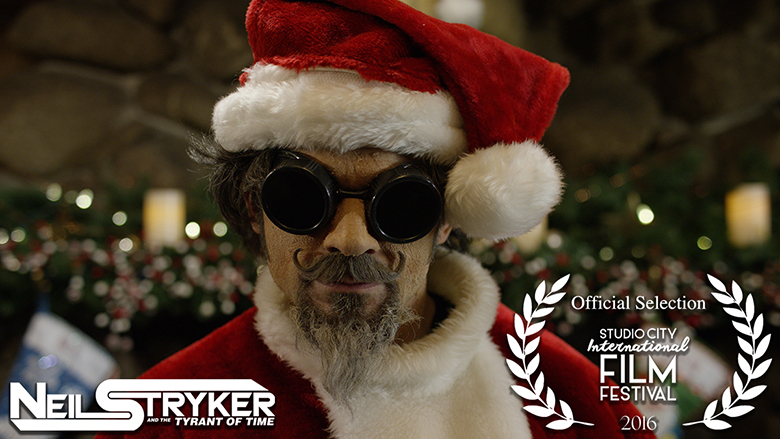 Hollyshorts Film Festival 2016 Selects Neil Stryker and the Tyrant of Time -- Ep. 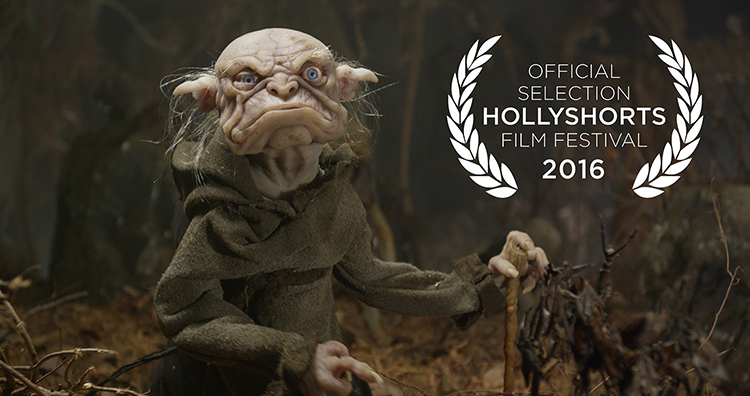 29 -- The Goblin Forest to CLOSE the festival! HOLLYWOOD PREMIERE! Hollyshorts Film Festival selects the NSTOT 16 minute TV pilot to close the fest in prime time: Saturday, August 20th, 2016 at 7:30pm at the TLC Chinese Theatres in Hollywood, CA! Our cast and crew will be in attendance and there will be a few goblins running around as well... You can get tickets to the show HERE! SUCCESS! 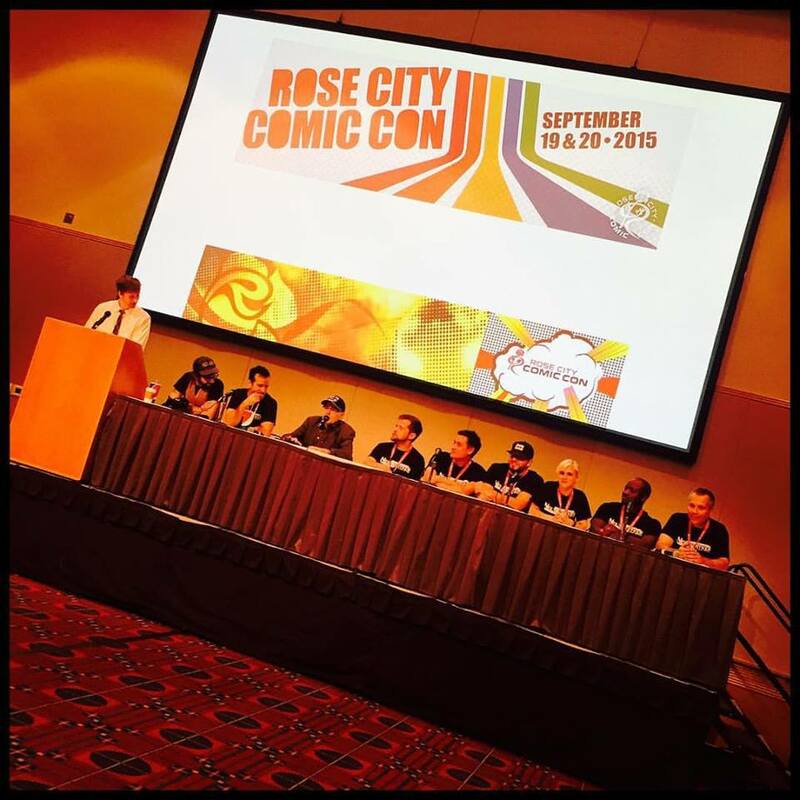 On Saturday, September 19, 2015, at 5:30pm at the Rose City Comic Con ("RCCC") in Portland, Oregon, our creators held a 50-minute Q&A with guest-star Walter Koenig and screened a portion of the "Goblin Scene" scene from the film and it was a blast! Did you miss it? Click on the link above to see the action! "Overall, Neil Stryker & the Tyrant of Time is great entertainment. From the slap-stick comedy to the random musical number 20 minutes from the climax to the sudden Nazi party sequence with Adolf Hitler. This film is a mammoth effort from the cast and crew, and it pays off. It could have easily been a valiant mess, but instead it’s a self-assured and polished production. I’m a fan of science-fiction and of foolhardy comedy – with Neil Stryker; you get both." "Neil Stryker and the Tyrant of Time is a conscious B-movie, genuine and free of any inhibitory brake, and therefore absolutely unavoidable for all science fiction enthusiasts. In every second of this crazy and delusional feature film, Rob Taylor and Nic Costa (actor and actor) passion for genre cinema from the '80s and' 90s and the real fun that has accompanied all the phases of its realization pass through." "Neil Stryker caters to a very niche audience, and sticks to its brand religiously. For those that eat up this sort of madly silly farce, this is one of the funniest indie films of 2017. . . . [T]his is a sharply written, extremely goofy action comedy throwback with some seriously clever setpieces and jokes. This was a labor of love over the course of a decade, and the final project shows that passion. If Taylor and co-writer Nic Costa team up again, we have much to look forward to." "Imagine two geeks, absolute Trekkies and Whovians, guided by the burning ambition to make a feature film and endowed with a sense of absolutely devastating humor. Nic Costa and Rob Taylor spent nine years completing this mind-boggling cinematographic oddity. 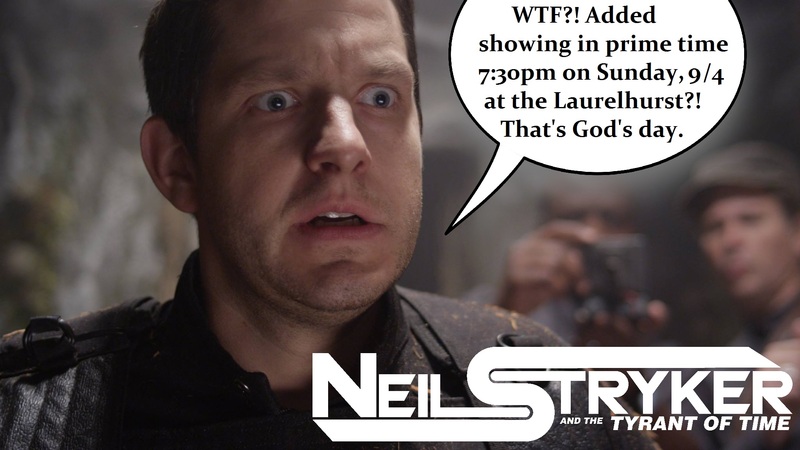 In Neil Stryker and the Tyrant of Time, the universes of McGyver and Mel Brooks collide with an intergalactic bang that will make you roar with laughter." 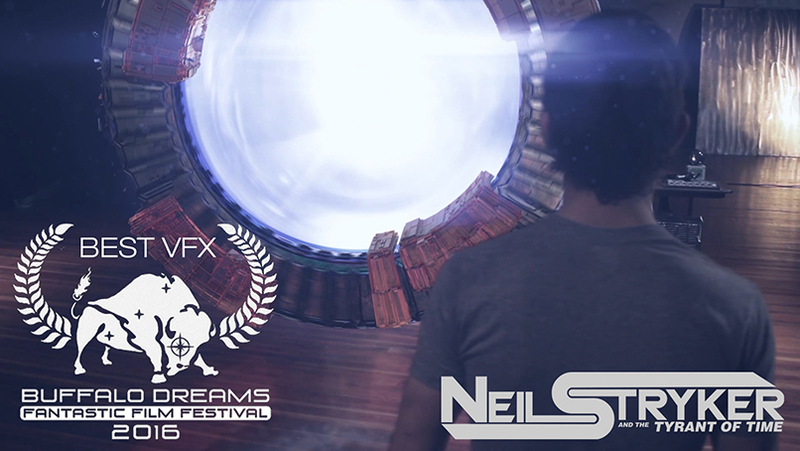 "Sci-fi comedy "Neil Stryker and the Tyrant of Time" was one of the highlights of the 37th edition of Fantasporto. The film tells the story of the world's greatest secret agent, who plans to reclaim his lost son from a villain. The work was awarded in several events, having competed in the category "Fantastic Cinema" in Porto. "A good international experience at a legendary festival," Rob Taylor admits to JPN." Neil Stryker Actor/VFX artist Bryna Smith delivers the best 36 minute interview of your lifetime. Seriously, if you'd like to spend your Monday laughing 'til you cry, just push play. "If Doctor Who was genetically spliced with Star Trek by a mad scientist with a wicked sense of humor (who also threw in a sprinkling of malevolent goblin puppets just for giggles), you might have something resembling this soon to be cult classic. 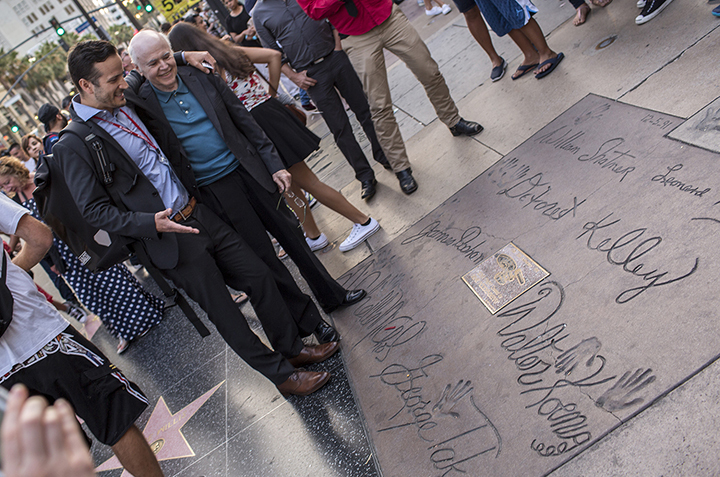 And with Star Trek‘s Walter Koenig on board, this film boldly goes to new comedic heights." "4.5 out of 5 stars -- it's pretty close to a perfect 'film lovers' movie!" "With a bit of everything, it’s a madcap adventure of the very best kind – and there damn well better be a sequel in the making." "This movie is sure to be a hit as it makes the rounds on the festival circuit and could easily become one of those cult classics you see getting screened over and over at boutique theaters and genre festivals for years to come." "Gate-crashing a Nazi birthday party and trespassing into a goblin’s realm? 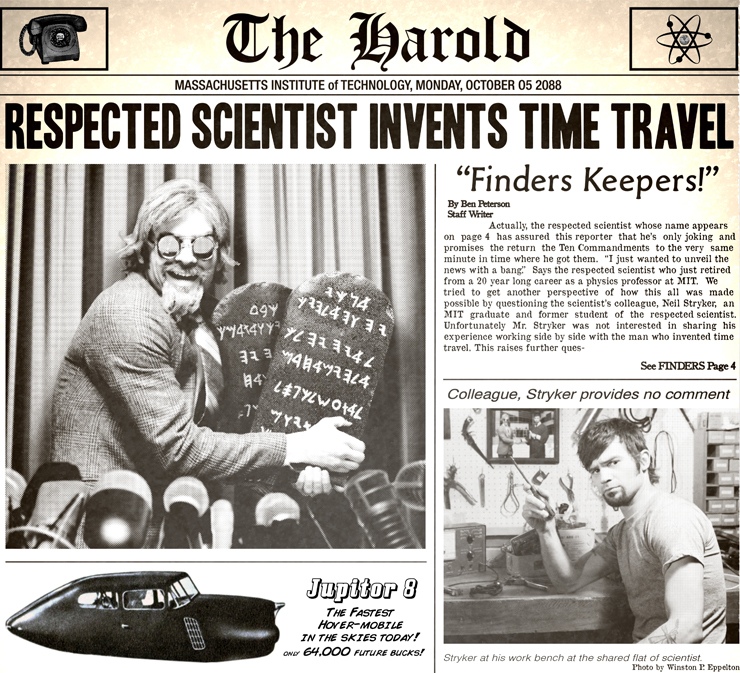 If that sounds like fun to you, then wait till we add the mad, time-traveling scientist and the Lord of the Under Realm." "Any fans of Muppets or Archer would love, LOVE this short! Although calling it a short is kind of misleading. Happily, this nugget of pure awesome is a snippet of a much greater project . . . I am so glad there is so much more to this. I enjoyed it way too much to not see more of Neil Stryker!" "On the opposite side of the filmmaking galaxy is Neil Stryker and the Tyrant of Time . . . Think live-action cartoon for adults."